Scientific research is the foundation for our understanding of Brolgas, Sarus Cranes, their behaviour and ecology, and interactions with industries like agriculture and tourism. Ozcranes Research highlights knowledge gaps and presents or links to studies that advance our understanding of cranes and their conservation. We also publicise research support activities like wetland bird monitoring and bird record database projects, where the public can make valuable contributions to current and future research. Research students, birdwatching groups monitoring cranes in wetlands, and others, are welcome to post project summaries and diary events – please contact us. A magazine article and preliminary scientific report on the Brolga Genetics Project can be read at Nature Glenelg Trust». 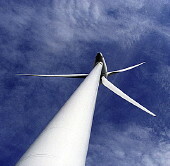 The Crane Specialist Group» includes four Australians working on crane research and conservation. The Crane Specialist Group (CSG) is a network of specialists convened by the International Crane Foundation (ICF), for the Species Survival Commission (Wetlands International/ IUCN). Read bios, research and other interests for the Australian members, John D A Grant, Inka Veltheim, Tim Nevard and Elinor Scambler. 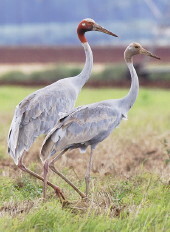 Knowledge Gaps 1» looks at taxonomic issues: Sarus Crane subspecies, Sarus Crane and Brolga relationships with other crane species, including the question of Grus or Antigone as the genus for Brolga and Sarus Crane, and recent work on Brolga genetics. Knowledge Gaps 2» covers ogoing challenges: Sarus time of arrival in Australia, population, hybrids, nesting, habitats, movements. Ogoing projects monitoring Brolgas and/or Sarus Cranes in key locations include north Queensland Crane Counts and SW Victoria Brolga counts, see Diary for details. Sightings projects are a great indicator of advancing community input towards work on Australian cranes. 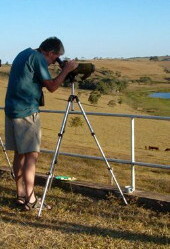 Ozcranes recommends people submit their observations and counts to relevant databases or projects, all give valuable data for crane research and conservation. Records of Sarus Cranes S of -18.5 S, from Augustus Downs-Bang Bang Jumpup-Wondoola and any unfledged young W of the Bynoe and Flinders Rivers. 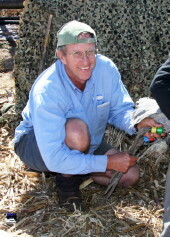 Northern Brolga-Sarus PhD:Report banded birds and possible hybrid sightings to Tim Nevard or write to PO Box 809 Ravenshoe, Queensland, Australia 4888. Brolga Study, SW Victoria:Report sightings of banded Brolgas to Inka Veltheim. BRG Brolga sightings:The Brolga Recovery Group accepts sightings for western Victoria/ SE South Australia via their Website, sightings are forwarded to state and regional databases. 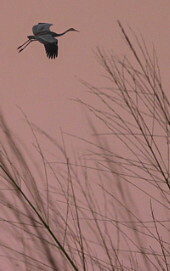 Contributions also welcomed to their Brolga photo gallery. Ozcranes ‘About Research’ Science Tour» asks: What's scientific research? How is it different from the mass of information flooding out of government agencies, lobby groups, the internet? Read some interesting examples from crane research, to get comfortable with terms like peer-review, grey literature and abstract, and use them to weigh up claims or statements about cranes and their environment.